Posted on March 16, 2015 by Emily Allbon. If you ever wondered what would happen if you mix law, networking and bingo, the City Law School Alumni Networking Event held on 3rd of March was the best way to find out! Over 40 alumni gathered together in the law common room to share their graduation afterlife with current students. 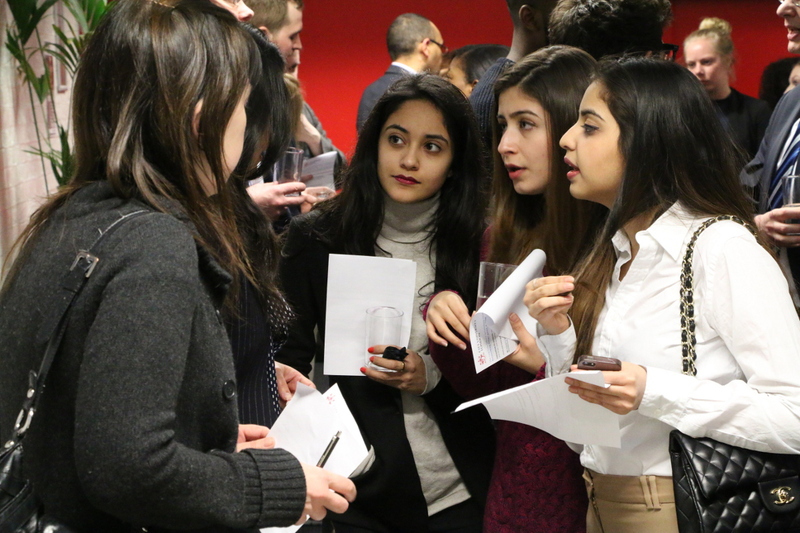 Networking receptions are part of the fabric of student life. Usually the formula of such events is pretty standard. This time however, City’s Careers and Development team decided to change it by introducing the networking game, which was the core theme of the reception. Thus the well-known game of bingo became a thread of communication between the alumni and the students and in many situations helped to break the ice. Every student was provided with a bingo card containing 20 fun facts from the bio of the guests. If you ever wondered which of the alumni used to sing for the Queen, whose dress was criticised by Bill Murray or who saw the famous BRITs fall, It could not been a better place to find out. The atmosphere was delightful, all alumni engaged themselves into sharing experiences and valuable hints and tips with the current students. What can go wrong if you gather together people who share same passion? Many guests proved this by helping students and starting a conversation; really useful for us newbies. If you ever struggled figuring out the convenient icebreaker, this time the Careers team did it for you. For me as a first year student it was an amazing opportunity to get myself familiar with the formula of such events but in atmosphere lacking any pressure and intimidation. 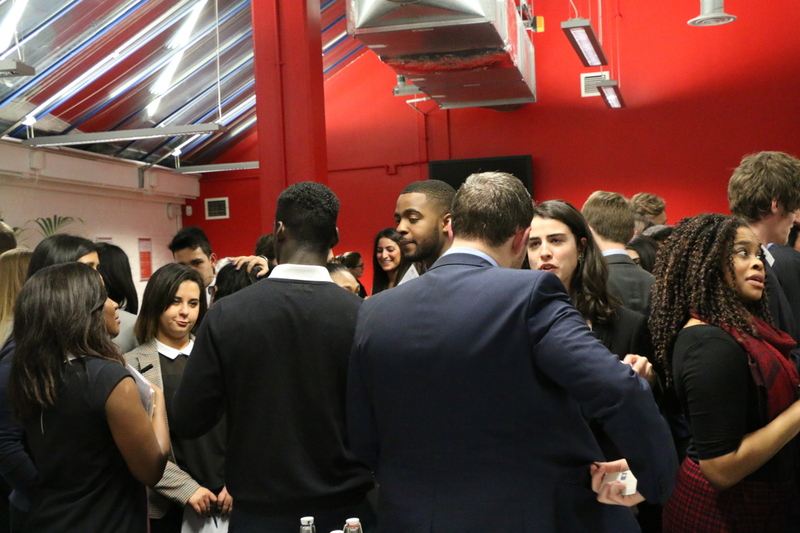 Alumni of The City Law School willing to help, students willing to learn from their predecessors, a friendly atmosphere, lots of law-related chat and a pinch of excitement created by the bingo game. Boxes all checked! Many thanks for all the guests and careers office for preparing an event and I am sure I will not be the only one who would love to repeat this experience! Many thanks to Adrianna Wit, LLB1 student at the City Law School.